Natural biomacromolecules have attracted increased attention as carriers in biomedicine in recent years because of their inherent biochemical and biophysical properties including renewability, nontoxicity, biocompatibility, biodegradability, long blood circulation time and targeting ability. Recent advances in our understanding of the biological functions of natural-origin biomacromolecules and the progress in the study of biological drug carriers indicate that such carriers may have advantages over synthetic material-based carriers in terms of half-life, stability, safety and ease of manufacture. In this review, we give a brief introduction to the biochemical properties of the widely used biomacromolecule-based carriers such as albumin, lipoproteins and polysaccharides. Then examples from the clinic and in recent laboratory development are summarized. Finally the current challenges and future prospects of present biological carriers are discussed. 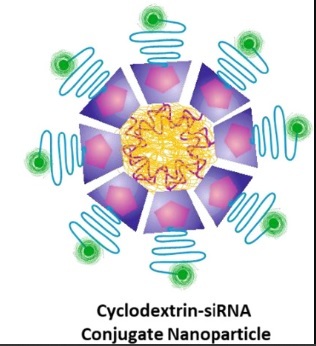 In the present study, nonionic surfactant vesicles (niosomes) formulated with Span 20, cholesterol, and novel synthesized spermine-based cationic lipids with four hydrocarbon tails in a molar ratio of 2.5:2.5:1 were investigated as a gene carrier. 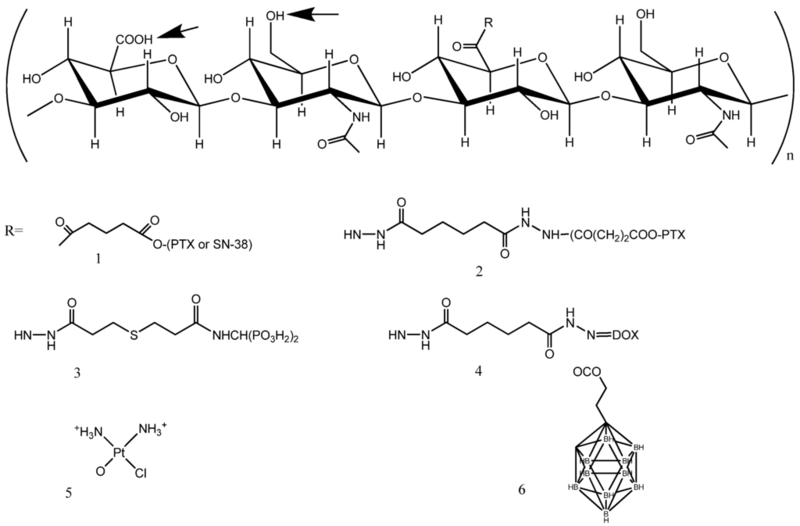 The effects of the structure of the cationic lipids, such as differences in the acyl chain length (C14, C16, and C18) of the hydrophobic tails, as well as the weight ratio of niosomes to DNA on transfection efficiency and cell viability were evaluated in a human cervical carcinoma cell line (HeLa cells) using pDNA encoding green fluorescent protein (pEGFP-C2). The niosomes were characterized both in terms of morphology and of size and charge measurement. The formation of complexes between niosomes and DNA was verified with a gel retardation assay. The transfection efficiency of these cationic niosomes was in the following order: spermine-C18 > spermine-C16 > spermine-C14. The highest transfection efficiency was obtained for transfection with spermine-C18 niosomes at a weight ratio of 10. Additionally, no serum effect on transfection efficiency was observed. The results from a cytotoxicity and hemolytic study showed that the cationic niosomes were safe in vitro. In addition, the cationic niosomes showed good physical stability for at least 1 month at 4°C. Therefore, the cationic niosomes offer an excellent prospect as an alternative gene carrier. (Gene therapy has been widely endorsed as a promising therapeutic approach for many incurable diseases related to gene function, such as genetic diseases, cancer, cardiovascular diseases, and autoimmune diseases. Successful gene therapy requires not only therapeutically suitable genes but also a safe and efficient gene carrier. To avoid severe side effects resulting from viral vectors, such as immunogenicity, mutagenesis, and carcinogenesis, nonviral vectors offer an attractive alternative. Cationic liposomes, a vesicular system widely investigated as effective gene carriers, are one of the preferred nonviral vectors. In addition, several studies have reported on the use of another vesicular system, nonionic surfactant vesicles (niosomes), as a gene carrier that can potentially be substituted for liposomes.Niosomes are nonionic surfactant vesicles formed by the self-assembly of nonionic amphiphiles into a bilayer structure in an aqueous medium. The nonionic surfactants preferably used to prepare niosomes include alkyl ethers and alkyl glyceryl ethers (Brij), sorbitan fatty acid esters (Span), and polyoxyethylenefatty acid esters (Tween). However, niosomes have several advantages over liposomes, including low production costs, high purity, uniform content, greater stability, and the ease of storing nonionic surfactants. Cationic niosomes used as gene carriers are usually composed of nonionic surfactants (i.e., Tween and Span), cholesterol, and cationic lipids. One of the major factors affecting gene transfection mediated by cationic niosomes is niosome composition, including the types of surfactants and cationic lipids used. The therapeutic value of numerous small molecules hinges on their ability to permeate the plasma membrane. This is particularly true for tenofovir (TFV), adefovir, and other antiviral nucleosides that demonstrate potent antiviral activity but poor bioavailability. Using TFV as a model substrate, we hybridized two disparate prodrug strategies to afford novel reduction-sensitive lipid conjugates of TFV that exhibit subnanomolar activity toward HIV-1 and are stable in human plasma for more than 24 h with a therapeutic index approaching 30000. These compounds significantly rival the clinically approved formulation of TFV and revitalize the potential of disulfide-bearing prodrugs which have seen limited in vitro and in vivo success since their debut over 20 years ago. We further demonstrate the utility of these conjugates as a tool to indirectly probe the enzymatic hydrolysis of phosphonomonoesters that may further advance the development of other prodrug strategies for nucleosides, peptides, and beyond.